A special education teacher can customize an iPad to meet each student's needs. Special education teachers have many students with varying needs in their classroom. Any tool that can help provide the lessons the students need is useful to the teacher. The bright pictures and easy navigation of Apple’s iPad make it easy for students with special needs to use the many apps available for classroom use. 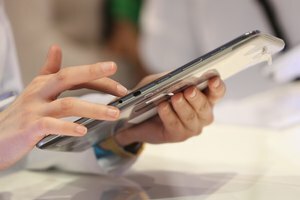 The iPad’s lightweight, touchscreen design makes it easier for students with disabilities to use than a computer mouse and keyboard. An iPad has many features that enable a special education student to read and write. Text to speech, or TTS, allows students to hear the words they are reading. Not only do visually impaired students benefit from this, but TTS enables all students to hear the proper pronunciation of words as they “read” their lessons. Apps for the iPad help students with spelling and grammar and help the students select appropriate words to use in their writing assignments. Apps such as Grace allow students to use pictures to communicate. This app is useful for helping children with autism to express their ideas. The assistive technology of the iPad gives special education students a sense of accomplishment as they complete assignments often without the assistance of their teacher. Along with TTS, iPads have VoiceOver available for all installed apps. This is a screen reader that allows the user to point at something on the iPad and hear a description of what is at that location. VoiceOver has an adjustable speaking rate so students with both visual and hearing impairments can listen at a pace they can understand. As a student uses the iPad’s keyboard, VoiceOver spells out the letters the student types. Word prediction and spelling make data entry a simple process. VoiceOver allows students to hear any books downloaded onto the iPad. The Zoom feature on the iPad allows users to enlarge any item on the screen. The iPad also allows connection to refreshable Braille displays using a wireless Bluetooth connection. When VoiceOver is in use, it mutes any sounds in the background of the page. For example, if a student is using a website that has sound effects or music, those sounds are silenced while the student uses VoiceOver to read the material. 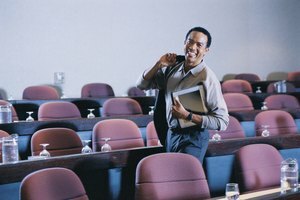 This provides less distraction for students with hearing impairments. The iPad easily connects to a variety of headphones or earpieces frequently used to help students with hearing problems. With the headsets, each student can complete his lesson without disturbing a child seated next to him. 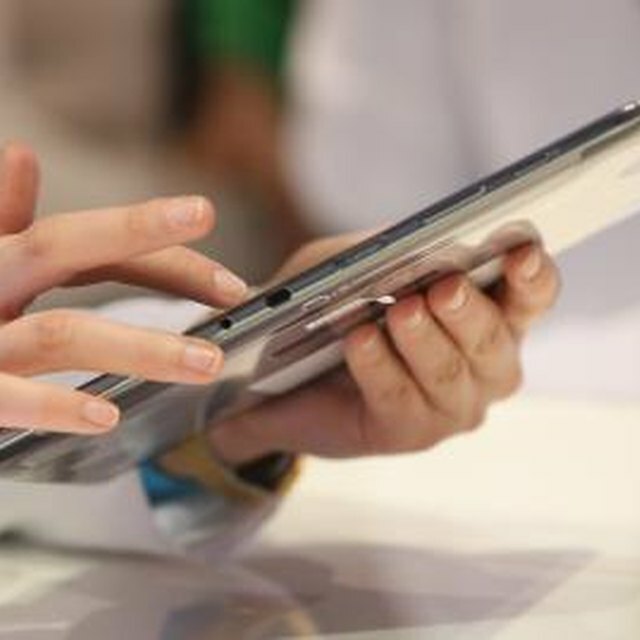 The adaptive technology of the iPad allows special education teachers to customize the iPad’s keyboard and touchscreen to meet each student’s needs. Shortcuts are simple to create. Apps are available that allow the teacher to create an entire onscreen routine for a student to follow to help improve motor skills. Games, such as Dance Party Zoo, enable students to dance along with zoo animals as they practice gross motor skills. IDress for Weather lets students pick clothes to wear for specified weather conditions, which is an independent life skill they need. IWriteWords lets children develop fine motor skills as they practice writing words while participating in games. While any of these activities can be accomplished without an iPad, the teacher can let the tablet do most of the work, which allows her to use her time more efficiently. Apple: Useful to Everyone. Right From the Start. Brown, Denise. 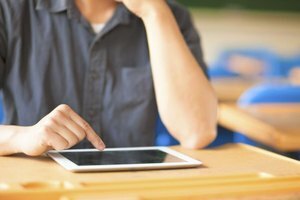 "The Advantages of iPads for Special Education Students." Synonym, https://classroom.synonym.com/advantages-ipads-special-education-students-4061.html. 26 September 2017.